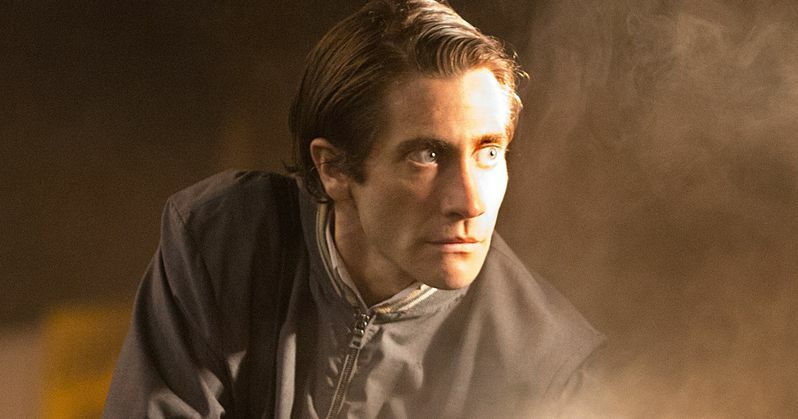 Open Road Films is pleased to share the new trailer for their upcoming thriller, Nightcrawler. Catch a glimpse of Jake Gyllenhaal, as he enters the high-speed world of L.A. crime journalism. We also reported last week that this new film from writer-director Dan Gilroy has been moved from October 17 to October 31. Celebrate Halloween with Jake Gyllenhaal, Rene Russo, Bill Paxton, and Riz Ahmed in the upcoming pulse-pounding thriller, Nightcrawler. Nightcrawler is a pulse-pounding thriller set in the nocturnal underbelly of contemporary Los Angeles. Jake Gyllenhaal stars as Lou Bloom, a driven young man desperate for work who discovers the high-speed world of L.A. crime journalism. Finding a group of freelance camera crews who film crashes, fires, murder and other mayhem, Lou muscles into the cut-throat, dangerous realm of nightcrawling -- where each police siren wail equals a possible windfall and victims are converted into dollars and cents. Aided by Rene Russo as Nina, a veteran of the blood-sport that is local TV news, Lou blurs the line between observer and participant to become the star of his own story. BOX OFFICE PREDICTIONS: Will Ouija Rule Halloween Weekend?